In 1974, the OPEC embargo/oil crisis seemed as good a reason as any for Noel and me to pack up, leave the city (Los Angeles) and our jobs in advertising (Noel’s as art director, mine as copywriter), and head to the rural coast of Washington State. Noel was born in Washington, and his father lived at the time on the Long Beach Peninsula, a place that seemed magically free of smog, traffic and the need to punch a time clock. 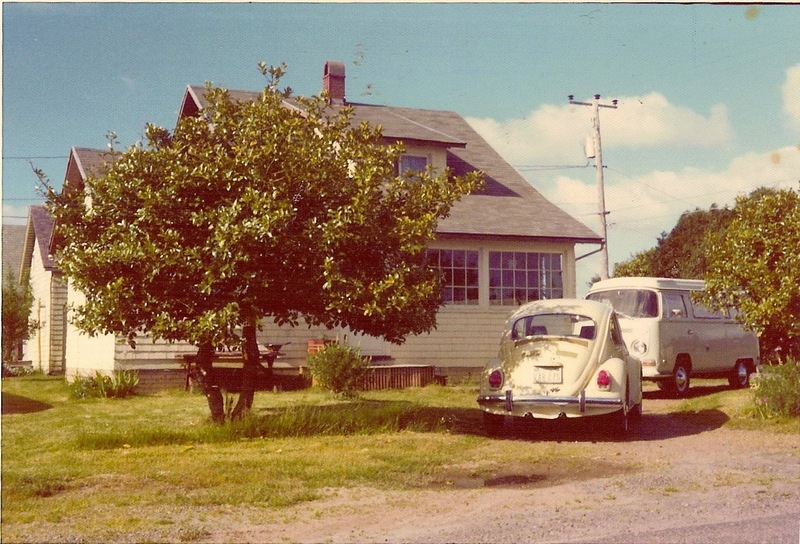 We were classic “drop-outs.” We cut up our credit cards, gave away Noel’s suits, our watches, and headed north in one VW camper and one VW bug, along with our plants, two cats and a vacuum cleaner (to clean up the kitty litter in motels along the way). Our idea was to build dollhouses for a living, based on the fun we had building one for Noel’s daughter the year before. It seemed a lot better way to use our creative energies than writing ads for people to wrap their fish in. If it didn’t work, then ok, we could always go back. This entry was posted in Bio, Miniatures. Bookmark the permalink. I love reading about people who take a leap of faith and head for the unconventional! As a child I loved going to the Museum of History and Industry in Seattle because they had a beautiful miniature house on display there. It was facinating. I hope you will tell us more about your journey and where we might be able to see your work. I plan to blog about once a week, and will include more about where our work can be found. This is so very interesting! The houses are stunning. And oh wow a bug and a bus!!!! I’m a VW fanatic . I’ve had 6 bugs, and right now I have that exact light yellow ’71. Thanks for blogging, I love reading it. I just checked your website http://www.miraclechickenurns.com/ It’s wonderful, and so is your work. I think you’re nuttier than we are.